Multiple drug arrests were made after members of the Vermont Drug Task Force conducted arrest operations in Windham County between last week. The arrests come after several months of investigation into drug activity in the area. The Task Force was assisted by the Westminster State Police Barracks, and the Brattleboro Police Department. This enforcement action took place following numerous drug investigations into the distribution of heroin and cocaine. Earl Brown 39 of Hartford CT and Victoria “Tori” Pease 28 of Brattleboro were lodged on Federal arrest warrants. 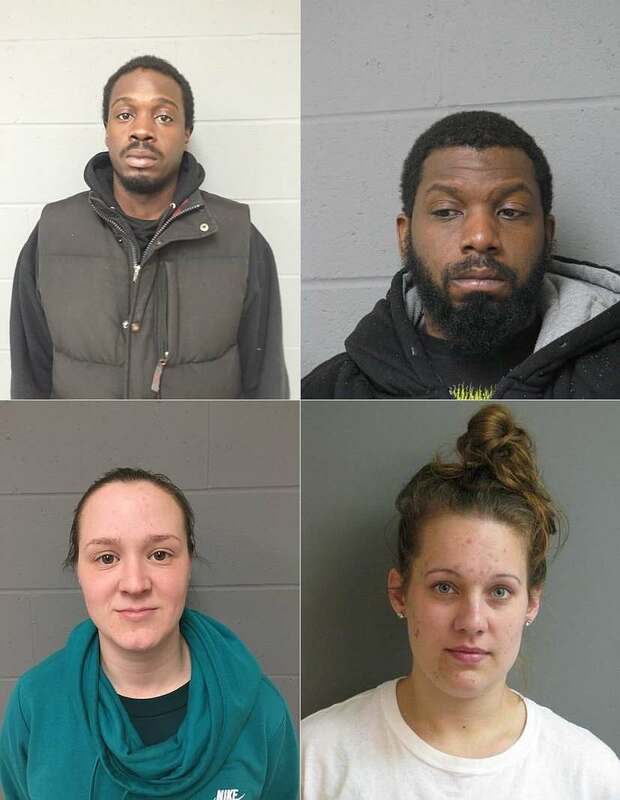 Also arrested were Reginald Deism 26, Delmas Ortiz 23, from of Brattleboro, Melissa Atwood 25, of Bellows Falls, and Reginald Woodard of CT.
State Arrest warrants were requested for Dana Ott 23 of Brattleboro who is currently incarcerated in Concord NH and Kayson Walters 31, and Reginald Woodard 30 both of CT. Defendants were processed at both the Brattleboro Police Department and Westminster State Police barracks and issued criminal citations to appear on April 25 at the Windham Superior Court of Vermont, Criminal Division. A North Haverhill NH man was arrested on Friday for Furnishing Alcohol to A Minor. Vermont State Police said they stopped a pickup truck driven by Raymond Dube 18, of Orford NH on Main Street in Bradford VT shortly after 1:00 am. After an investigation, they determined Dube, 18, had been consuming alcohol. Troopers also learned that Dube was provided the alcohol by his passenger 21-year old Jeffrey Nolan. Dube was issued several traffic tickets while Nolan was issued a citation to appear on April 26 in Orange District Court to answer the charges. Newport and Croydon had a celebrity visitor this weekend, the Great Grey Owl. According to Larry Rawls of Croydon it is a once in a lifetime sighting. Rawls observed the bird Sunday in Newport in a field near the water filtration plant, but the Great Grey also paid a visit Croydon Flat according to Anne Campbell who spotted the bird on Thursday on Croydon Brook Road. The great gray owl is a rare visitor to New England. It is considered the tallest owl in the world, with a wingspan of up to five feet. However, the Great Grey Owl is all fluff and feathers, and weighs only half as much as a snowy owl. Great Grey Owls have also been spotted in Maine and Ontario Canada in recent weeks. The owls move northward when there is a population crash of rodents in the boreal forest and numbers of Great Gray Owls drift into the northeast and cause excitement for birders.